On April 1st, the CITB changed the way it supports training for the construction industry. Part of their strategic change is the creation of CITB Approved Training Organisation (ATO) which they award to recognised training providers. UTN Training and ITS, Part of the AFI Group of Companies, have achieved this new status, meaning they have successfully completed CITB’s stringent approval process and are now a recognised organisation which provides construction training and qualifications to the construction industry. 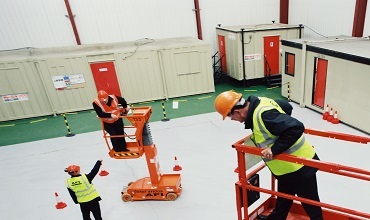 The CITB changes include the creation of a new CITB Training Directory which customers can access and search for UTN/ITS levy approved training throughout the UK, trusting that it is of high quality and standard. Grant support payments will now also be automated and dealt with by UTN and ITS, meaning customers no longer need to submit learners to the CITB, this will all be done easily via the ATO.